Lola’s Ramblings: Happy New Year! I hope you all ended the old year in a nice way. My boyfriend and I stayed home and had a quiet evening until the fireworks started. Yesterday I baked banana cinnamon rolls for the new year’s brunch today. My mom and her husband, my sister and her boyfriend and the daughters of my mom’s husband will visit. Everyone is making something and we have a brunch/ high tea. I hope you all have a fabulous start of the new year! To celebrate the new year I wanted to share some of my new year resolutions with you. And after that are my goals as part of the 2015 Bookish Resolutions challenge! Accept less deadline books. I am a moodreader and working with lots of deadlines for when to read and review books for a certain date can be stressful. I try to limit my deadline books to only one every one or two months to keep it manegable and less stressing. Read more (cozy) mysteries. I have read a few mysteries and so far enjoyed them, but I never really buy or look for them. So my plan for 2015 is to try and read more of this genre. Read more historical romances. I like romance and I am interested in history, but historical romances never really appealed to me. I want to try a few books in this genres to see if this is a genre for me. Keep my amount of scheduled posts around 20-30. Ever since I participated in Blog Ahead this year I managed to keep my scheduled posts around 20-30 and it feels so nice to be ahead. I hope I can keep this buffer and maybe get even more Ahead with the next blog ahead challenges. Kick off my new feature on the blog Lola’s Kitchen! I actually already have quite some posts scheduled for this feature, so it’s not really a challenge, this is going to happen! But I thought it was fun to list it as well as it is starting in 2015. The first Lola’s Kitchen post will be on 9 January and after that will be on Friday each week as long as possible. Make a dent in my review books pile. I have 46 books for review at the moment of writing this post, if I would only read review books it would still take me half an year till an year to get through these all. I hope to get them down to at least 20 and see if there are any I don’t want to read anymore. Organize even more tours with Lola’s Blog Tours than last year. I hope 2015 will be a great year for Lola’s Blog Tours as well and I am determined to keep working hard and make this year even more succesful then the last! 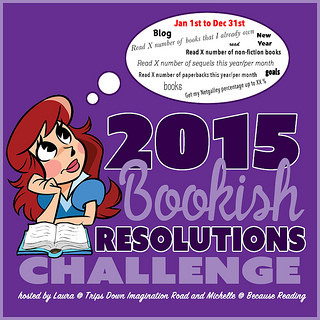 And as I was already made resolutions for this post I decided to link up with the 2015 Bookish Resolutions Challenge hosted by A Reader Lives A Thousand Lives and Because Reading is Better Than Real Life Not all of my resolutions are easily trackable so I reworded them a bit to make them trackable. Accept no more than 1 book with a deadlines each month. So in this case that means that I can only have one deadline to reach each month. 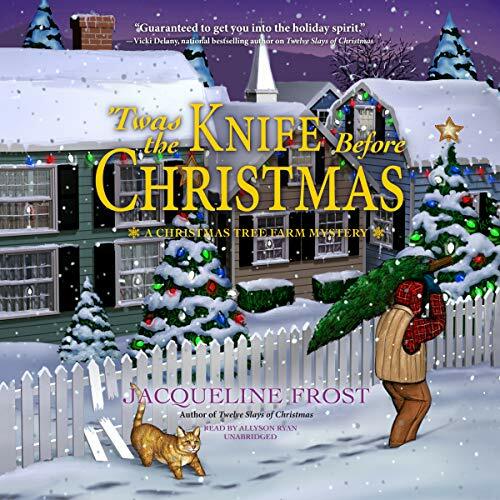 Read at least 3 (cozy) mysteries. 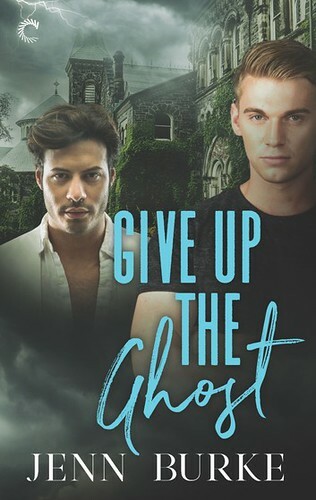 I only read about 1 or max 2 books a week and don’t have a lot fo money to spare to buy new books and I don’t own many books I this genre so I thought putting this one on 3 was more than challenging enough. 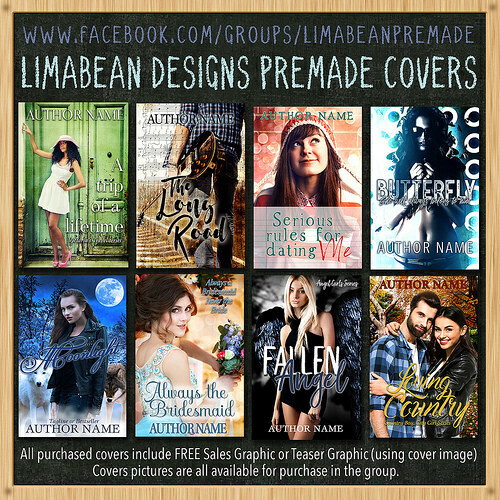 Read at least 3 historical romances. I only read about 1 or max 2 books a week and don’t have a lot fo money to spare to buy new books and I don’t own any books I this genre so I thought putting this one on 3 was more than challenging enough. Read at least 20 review books this year. I have 46 books for review at the moment of writing this post, so reading at least 20 of them would make a nice dent. 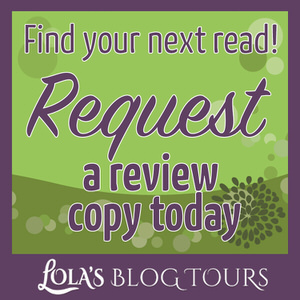 Organize at least 30 tours with Lola’s Blog Tours than last year. I am counting this as my personal challenges it isn’t completely blogging related, but more work related. I organized a total of 22 blog tours and blitzes last year, so I want to organize at least 30 this year. I count only blog tours and book blitzes for this goal to make it easier to keep track of, the banners always list the date so it’s easy to count the total of tours I organizes in a year. What are your new year resolutions? Anyone have some good mystery of historical romance recommendations for me? I like the idea of a Lola’s Kitchen feature on your blog, looking forward to that! I’ve actually deleted my NetGalley account and I’m not going to accept as many review requests, because I’m a mood reader as well. And I really need to get a grip on this evergrowing tbr pile. For every book I read, I add three! I hope you like Lola’s Kitchen, I had a blast making the posts so far! I can’t go as far as to not accept review requests anymore, but I’ll be even more selective in what to accept. Wow, 20-30 posts ahead? That’s amazing! I usually try to be ahead with my reviews for at least two weeks, so I don’t have to stress about reading books quickly. I’m going to try to get a bit further ahead with other posts too this year. 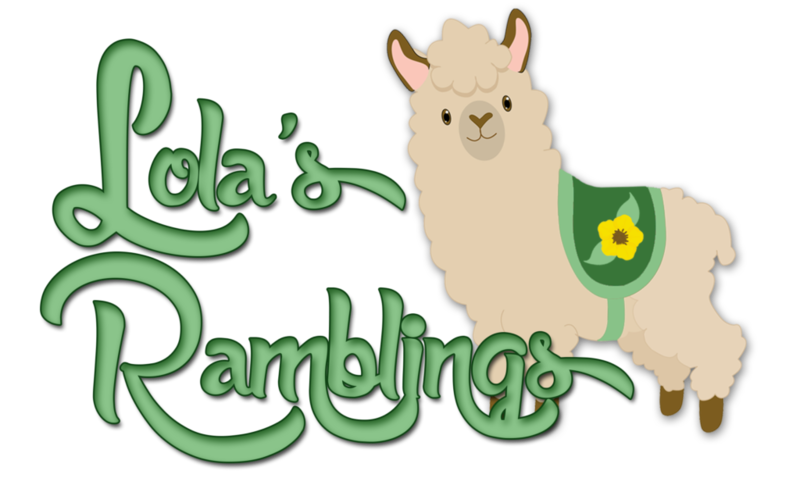 Review posts are one of the few things I am usually not ahead with, but I am doing good with scheduling Lola’s Ramblings and Lola’s Kitchen posts ahead. I would love to be ahead with reviews for at least two weeks. WOW that’s a lot of posts ahead, Lola! I usually have around 10, and that’s a good buffer for me, but it would certainly be nice to have even more. I liek to have a bit of a buffer, thanks to scheduling a lot of Lola’s Kitchens posts ahead I have built some ncie buffer. I have posts scheduled for each week until the first week of april, so that certainly helps. I would like to have a bit more buffer for review posts. There are a lot of books I alreayd own that I want to read, so I hope I can make a dent into that pile. Not buying too many books isn’t too hard for me as I usually have hardly any money to buy books, I guess it does work for getting less new books though. These are all great resolutions! I’m looking forward to your kitchen posts especially 🙂 I struggle with making meals and not being bored with food. I could spend more time on Pinterest but I think that would be bad for me! Happy New Year! Yay I am excited so many bloggers like the idea for Lola’s Kitchen, so far I love making the posts, it’s so much fun! I hope I’ll be taking less review book as well, but as long as they don’t have deadlines I am okay with it, I just don’t want the stress of deadlines. I like branching out in new genres, last time I did that I ended up discovering how much I love sci-fi! Sounds like some great goals. I’m in awe of the fact that you have or more posts scheduled. That seems impossible to me! I love being ahead and ever since I gotten a bit ahead I want to stay that way. I panic when I haven’t written a Lola’s Ramblings post ina while and I feel most comfortable when I have them scheduled for about two months ahead, else the pressure is too high and I feel like I can’t come up with new topics. The other reason I am ahead I doign a lot of work in advance for my new Lola’s Kitchen feature, for that feature only I have about 12 posts scheduled, so that helps a lot. Now let’s hope I can keep up. I really have to thanks Anna from Herding Cats and Burning Soup for hosting the Blog Ahead challenge, which helped me finally get as much ahead as I do now. I’m also trying to cut back on deadline books. I feel so much pressure with them that in turn I end up not enjoying them as much. I’m also determined to make a dent in my tbr on my ereaders. I have so many books calling to me. A good historical fiction writer is Michelle Moran. I love all her books. Here’s her website: http://michellemoran.com/ You have to check out her gallery on it. She has been to some amazing places and had so many personal adventures. 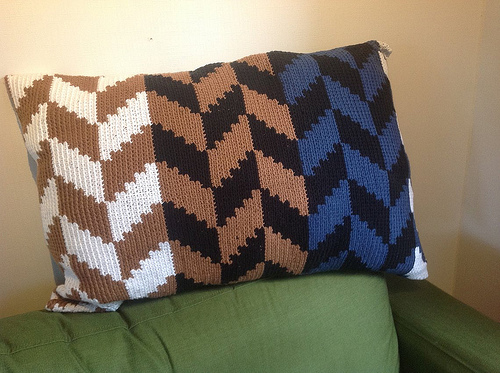 Marni J recently posted…Happy New Year! Yeah the pressure can really take the fun out of reading those books, I feel better if I get them really early in advance, but more then one book a month stresses me out. So I hope I can really stick to that goal! I know the feeling, I have so many books i want to read, getting 20 reviews books read this year would help a lot. Thanks for the rec, I’ll check out her site. I am really new to the historical genre and it can be a bit overhwelming! Phew, that’s quite a lot of work ahead ! I’m looking forward to Lola’s kitchen 😉 Happy new year !!!!!!!!!!!!!!!!!! Happy New Year Lola! I’m so excited for your cooking posts, I know they’ll be great. I’m also trying to stay ahead though my goal is just 7 posts, since 30 is probably the highest I’ve ever achieved. Good luck with your goals, they’re fantastic! I think 30 is also the highest I ever achieved, but ever since Blog Ahead I managed to stay around the 20-25, which makes me happy :). I can’t wait to share my Lola’s Kitchen posts with you! I am so excited you agreed to do Lola’s Kitchen! I can’t wait to see the recipes you always talk about. You have a bunch of really great goals! Good Luck with them all. 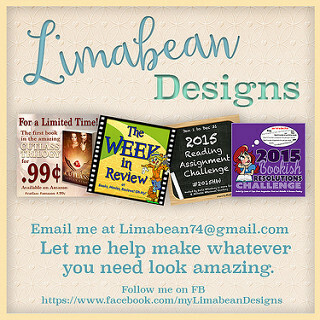 I love your blog so I look forward to seeing what you have in the new year!!! I am so happy you kept pushing me to start this feature and I love the banner you made for it! I already have posts scheduled till early April and I love making these posts! I hope people love reading them as well! Beside that there won’t be much big changes, maybe some new genres and ofcourse I try to keep up with weekly Lola’s Ramblings posts on thursday. Great resolutions Lola, so happy to have you on board! Good to see someone elses’ non-book resolution was still kind of related! I am glad to join, at first I thought I wouldn’t, but then I came up with all these resolutions and decided to join in after all! I thought it was fun to keep my non-book resolution still kinda related as Lola’s Blog Tours is a big part of my life and I really want to keep improving there and push myself harder, I know I can make a living doing this, but I just have to prove it first! It’s good that’s how you’ve looked at it! When I was thinking about it the flexibility was important, it is a personal challenge after all! I’m more than sure that you can! It’s a growing market after all! That’s what I like about this challenge, it’s so flexible! 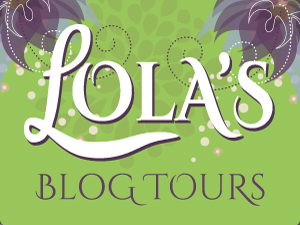 And thanks, I really hope 2015 will be a great year for Lola’s Blog Tours! These are some fantastic resolutions, Lola! I definitely need to stop requesting and accepting ARCs because like you, I’m more of a mood reader if anything, and it really does affect my enjoyment when I am reading a fantasy review copy when I actually wanna pick up a contemporary read. Yeah moodreading and review copies aren’t always a good combination. I do enjoy review copies without deadlines, although the problem with those is that it can take me years sometimes before I am in the mood for them. It’s much more fun when you can actually read whatever you’re in the mood for. Good luck with your goals. I am working through my review pile too. There are a couple that I think I won’t be reading, unfortunately. That just teaches me to be more selective BEFORE accepting a review request or requesting through Netgalley/Edelweiss. I also have a couple of books I am considering removing altogether from my to-read list, sadly sometimes it happens that a book that sounded good once, won’t sound as good later. Being selective certainly helps, although sometimes it’s also my taste in books that changes. And so doing Blog Ahead again. There will be a mini version in the late Spring/early Summer then a full one in Oct. 🙂 Will let you know! 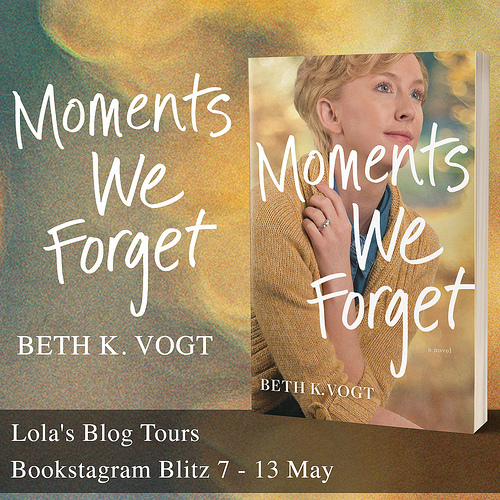 Thanks Anna, I am really excited for the Lola’s Kitchen posts and I hope people enjoy them! It’s a bit scary to start a new feature like that, but I love writing the posts so far! I can’t wait for this years Blog Ahead, I hope I can use them to get ahead even more and then stay at that new level. Although I am alreayd happy if I am able to stay aroudn the 20-30 posts ahead I am currently at, the last Blog Ahead really helped me with that! These are great goals! I also want to read more mysteries and historical romances. I read a lot of adult contemporary romances last year so I need to mix it up. I can’t wait to see your Lola’s Kitchen posts. I am also going to add some recipe posts, these are recipes my daughters and I have tried. It’s nice to add something non-book related posts. Good luck on your goals and have a great year! I want to mix it up a bit more this year as well and mysteries and historical romances are two genres I don’t read a lot, but not because I dislike it, but just because I don’t actively look for books in those genres. So as I am actively looking for them now I hope that helps and I can see whether I enjoy those genres or not. I agree it’s fun to add some non-book related posts, I am looking forward to your recipe posts as well!